In the box, you receive these Bluetooth earphones, a manual/user guide, three different sized ear pieces for the part that goes in your ears and the ear hook that holds on to the “ridge” of your ear, a charging cable(does not come with a wall wart), and a carrying bag. Out of the box, the earphones fit decent. I changed out the in ear piece and hook to get a better fit. Wearing the earphones while running is not the most pleasant experience; the right earpiece kept coming out of my ear ever so often. 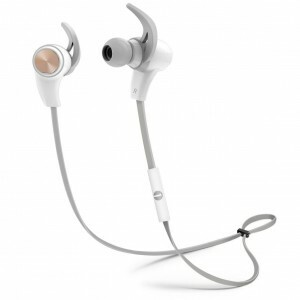 However, these earphones will be a great companion doing exercises that do not require the amount of movement that running does. Wearing the Bluetooth earphones for daily use is a breeze. 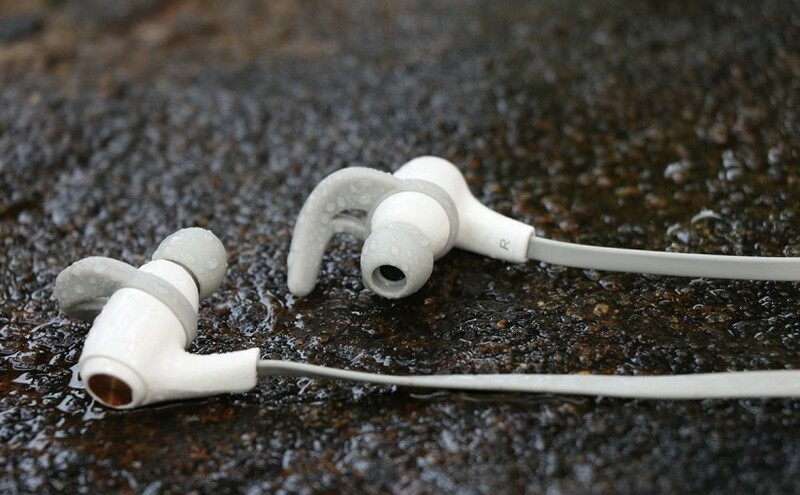 The wearer hears audible prompts through the earphones for power on, power off, Bluetooth connection successful, Bluetooth connection lost, and battery low. I can go about 3-4 days on a charge. When the wireless Bluetooth earphones have been disconnected from your phone for about 10 minutes, they will automatically turn off to conserve battery. You can buy your Bluetooth Earphone Wireless In-ear Sweatproof Sport Earphones on Amazon. 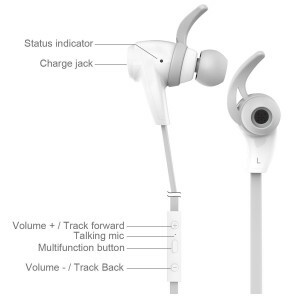 Unique Stylish Design: Sweat-proof, fashionable and durable design, comfortable in-ear wearing style, to remain in your ears stably at all levels of exercise. 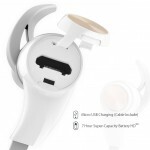 Long Lasting Battery and Reliable Bluetooth Connectivity: With longer battery life and reliable high-tech Bluetooth performance, fully charged headphones provide 7 hours of long-term usage, it will be unimpeded while you are doing exercise. Advance technology: With aptX HD audio and 6th generation CVC technology to reach a higher sound quality and bring mental and physical enjoyment. Humanized Earbud And Ear-hook: Three different size ( S,M,L) of the earbud and ear-hook, to satisfy everyone’s personal requirement. connected with a device with IOS system, the battery status will be displayed on your phone. Battery core from Panasonic, longer battery life so your training won’t be interrupted. 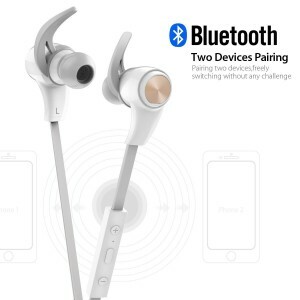 Most reliable Bluetooth connectivity and stable responsive ability. Pair two devices to allow you to freely switch without any challenge, always keeping pace with you. The good thing about 1byone is that they stand behind their products with a 30-day money back guarantee and a 1-year warranty. If you have any problem with their products, 1byone will replace it hassle free. For support, you can email [email protected] You can find 1byone on Facebook, Twitter, Google+, Pinterest, Instagram, Tumbler, and YouTube.